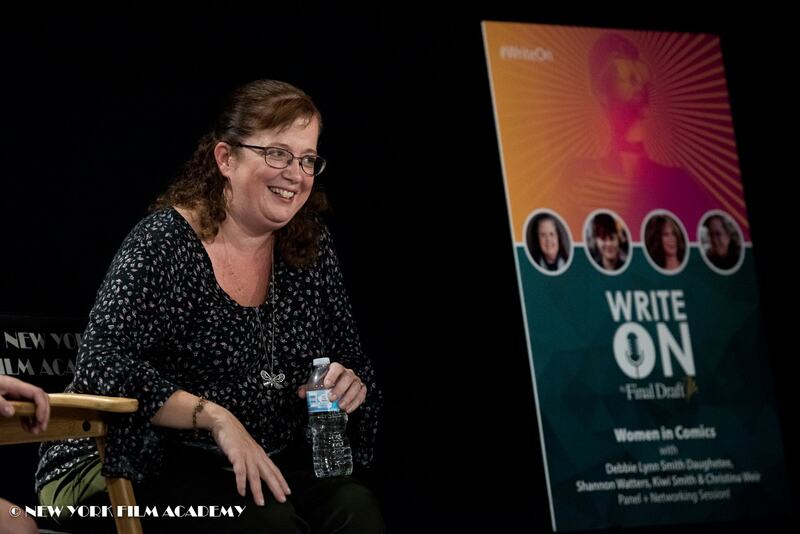 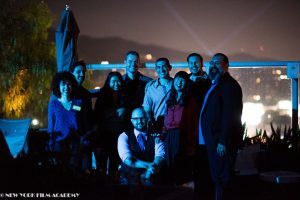 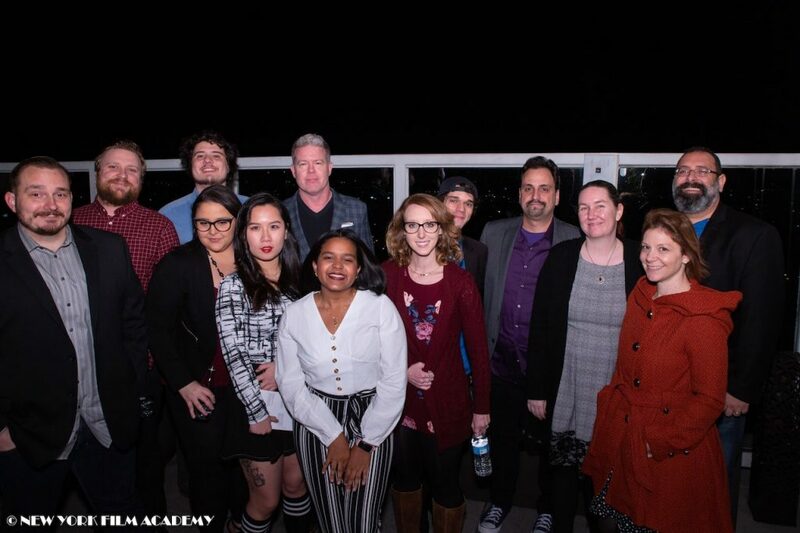 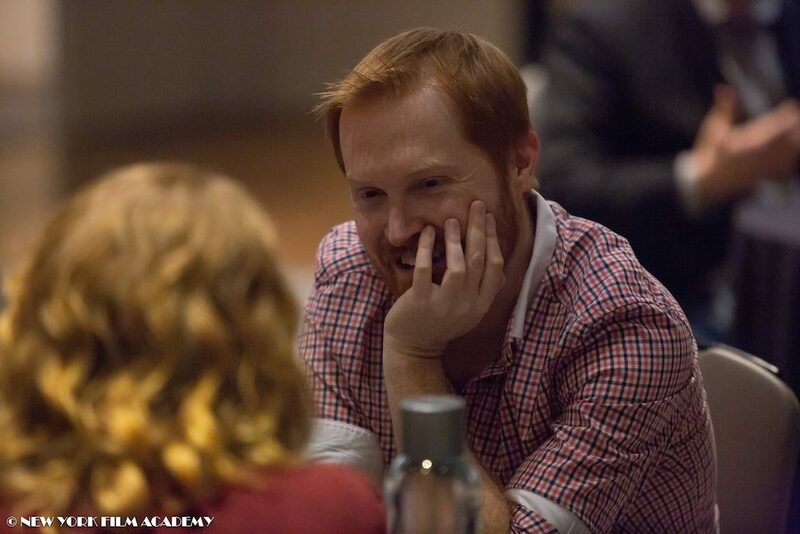 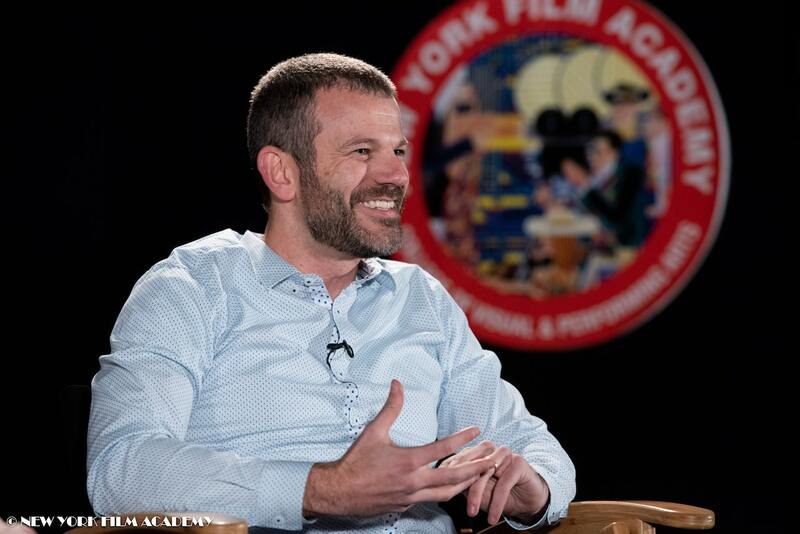 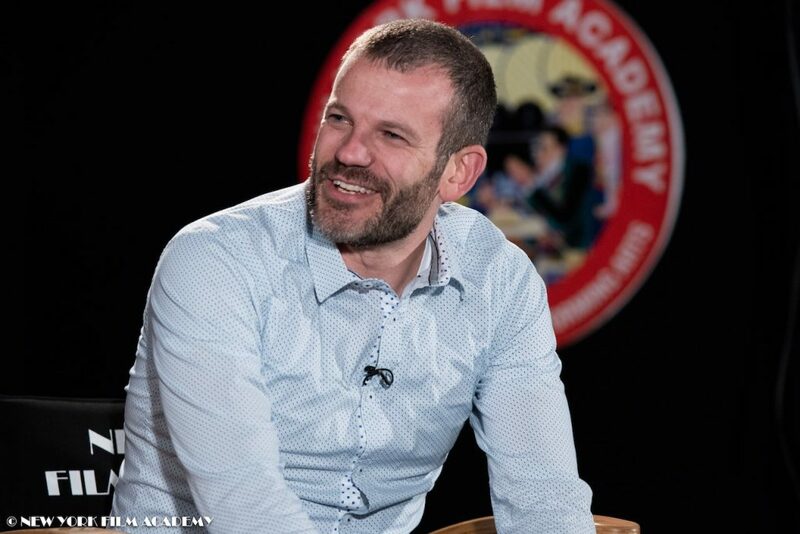 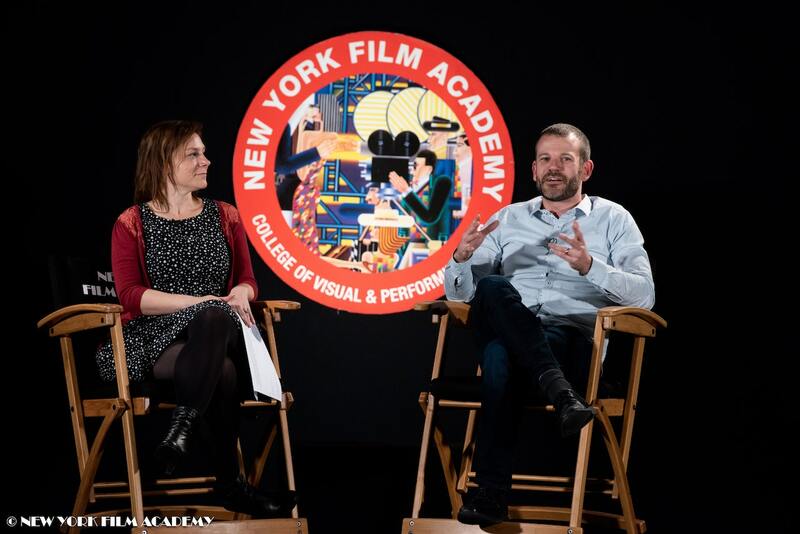 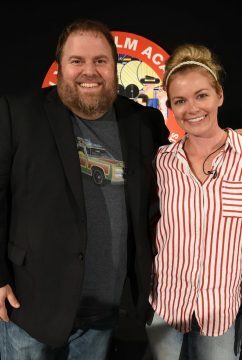 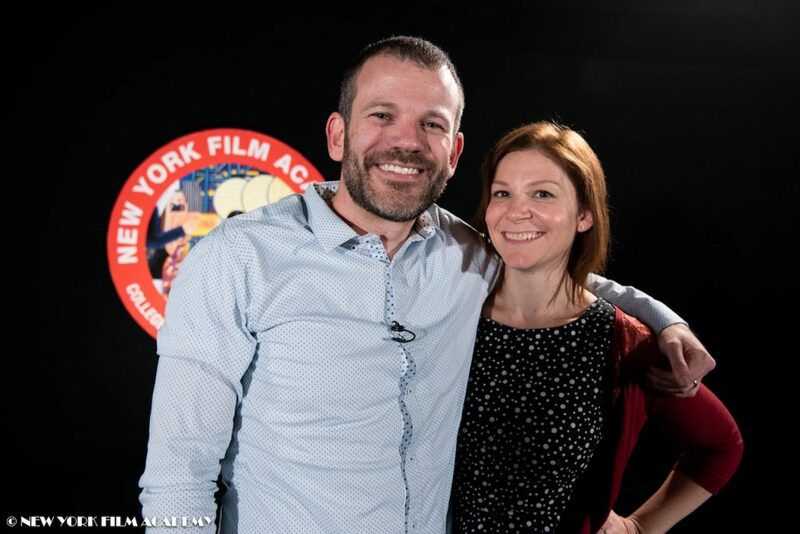 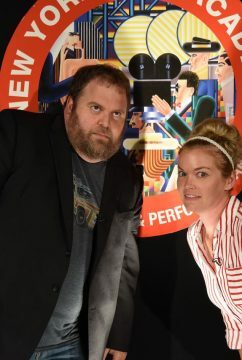 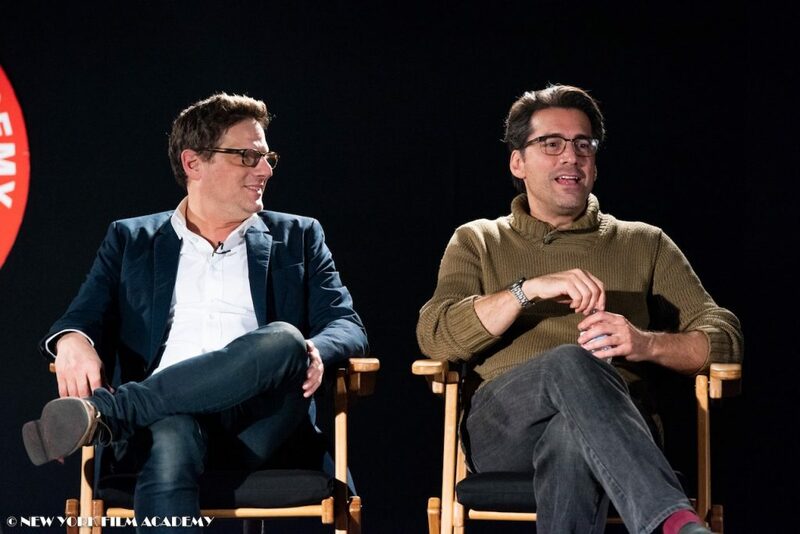 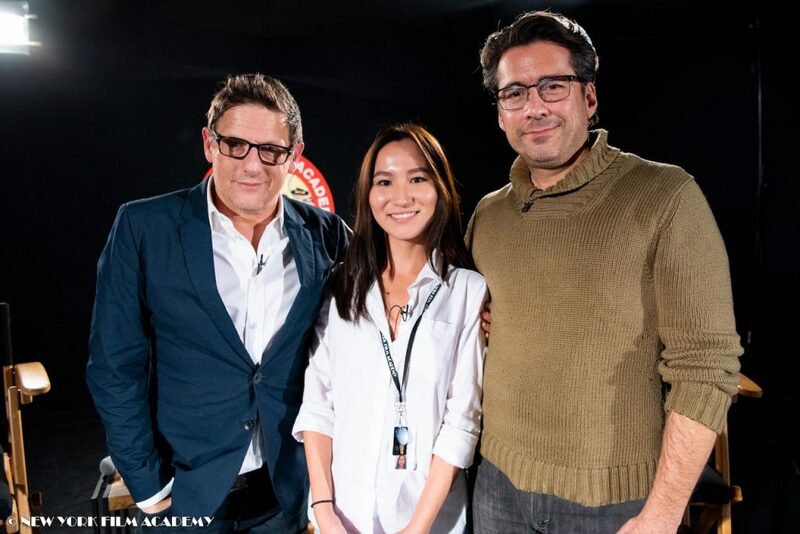 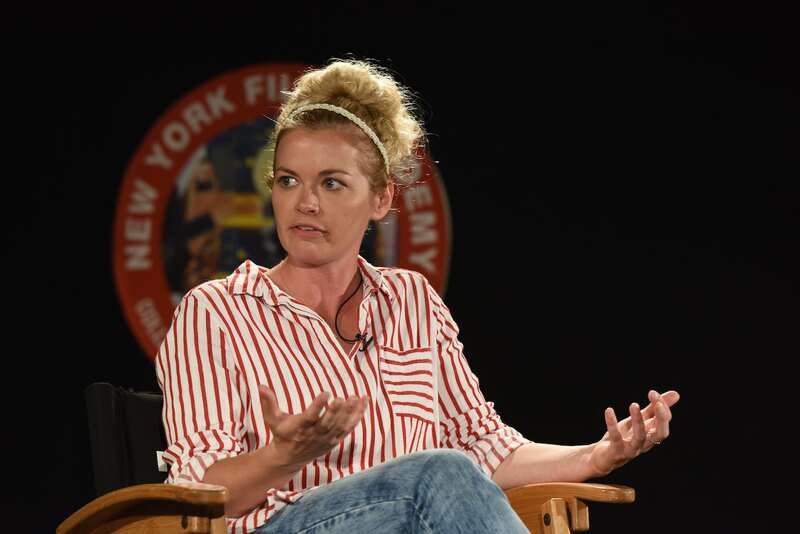 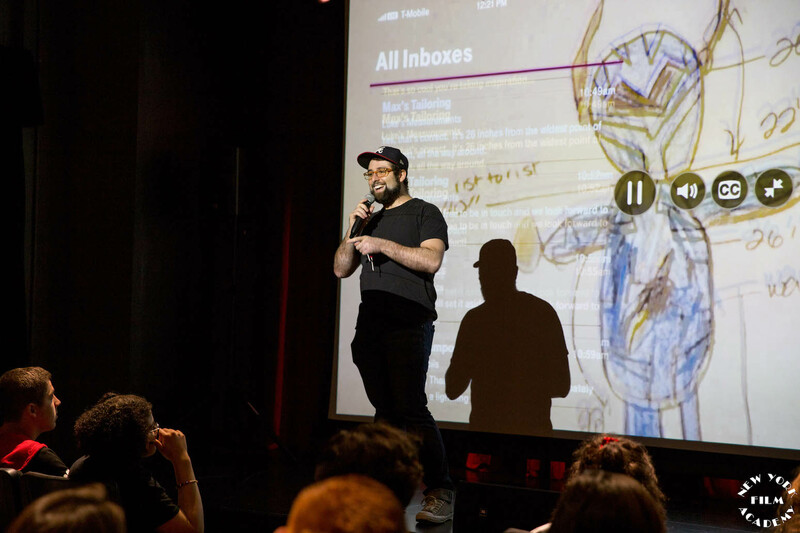 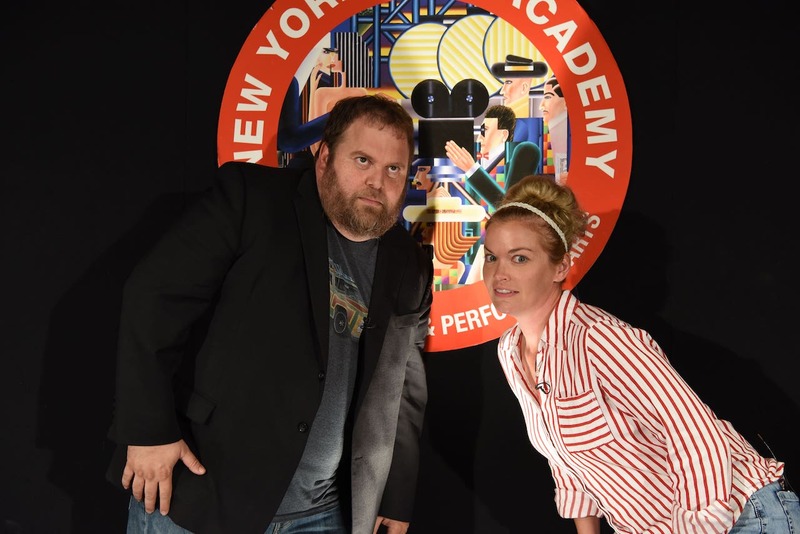 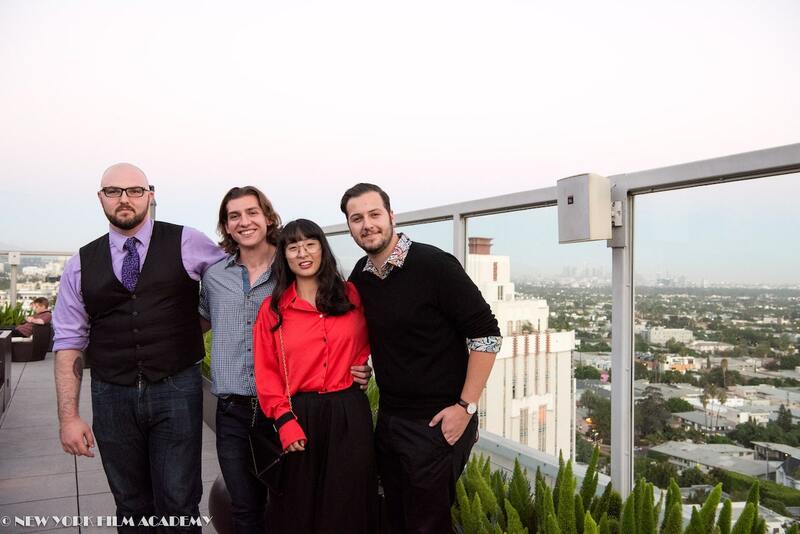 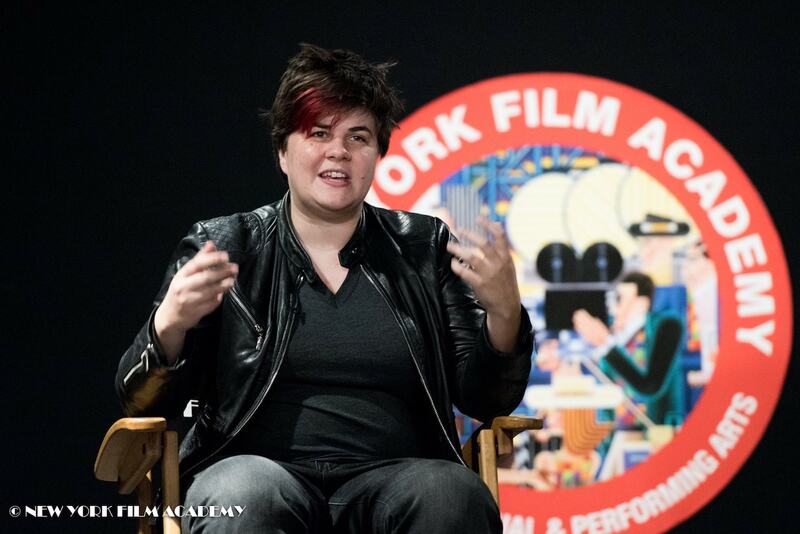 On Monday, October 22, New York Film Academy (NYFA) Screenwriting alum Aubree Sweeney returned to campus to perform a stand-up comedy set followed by a Q&A with NYFA screenwriting instructor, Eric Conner. 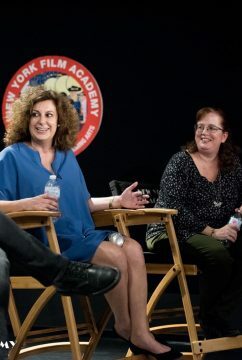 Sweeney earned a master’s degree in screenwriting at NYFA’s Los Angeles campus. 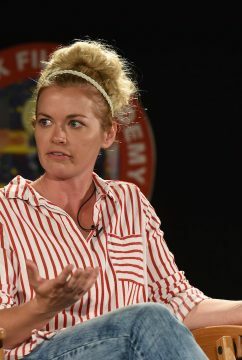 After graduated NYFA’s screenwriting school, she studied with the Upright Citizens Brigade, an improvisational comedy theater and training center in Hollywood; from there, she transitioned to stand-up comedy and now she is a nationally touring comedian. 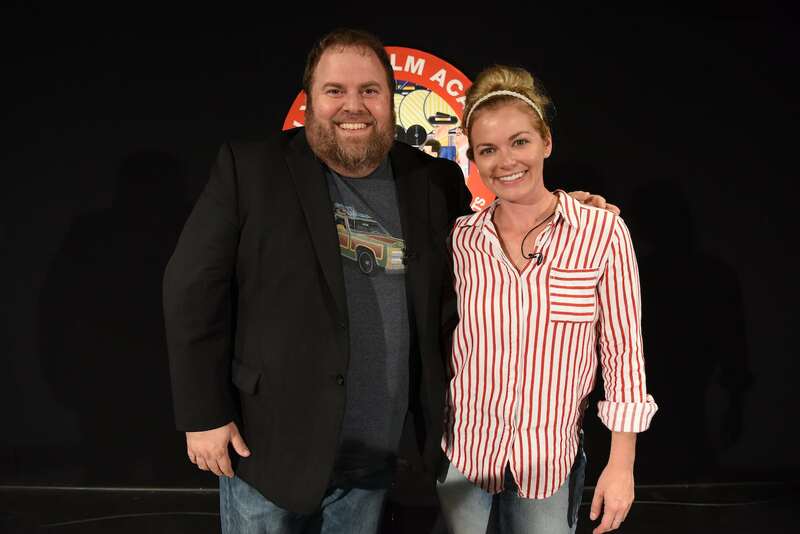 Sweeney continues to build her theatre resume and has been part of several television commercials. 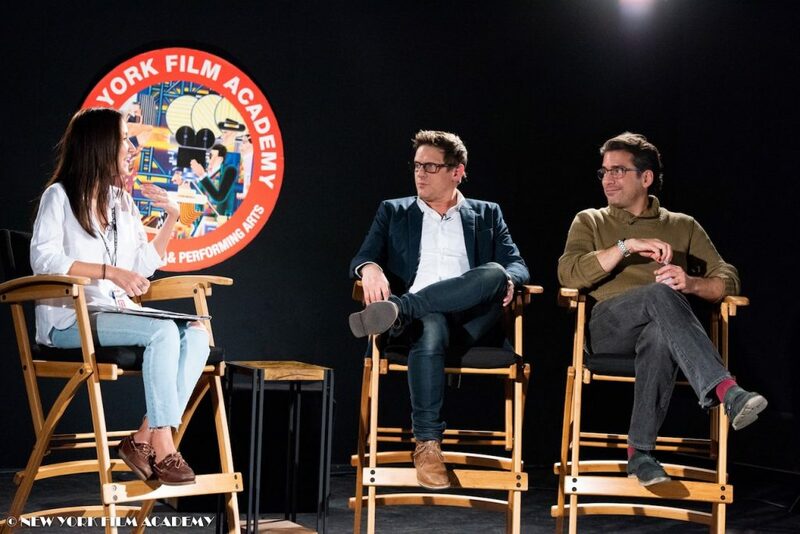 Conner opened up the Q&A by asking Sweeney’s advice for aspiring comedians. 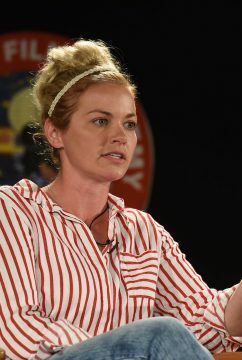 “If stand-up is something you wanna do, just go hit as many open mics as you can,” Sweeney said, “and just keep getting onstage until you feel comfortable.” Sweeney shared that her background as a dancer and a baton-twirler for football games at the University of Arizona helped her with confidence. 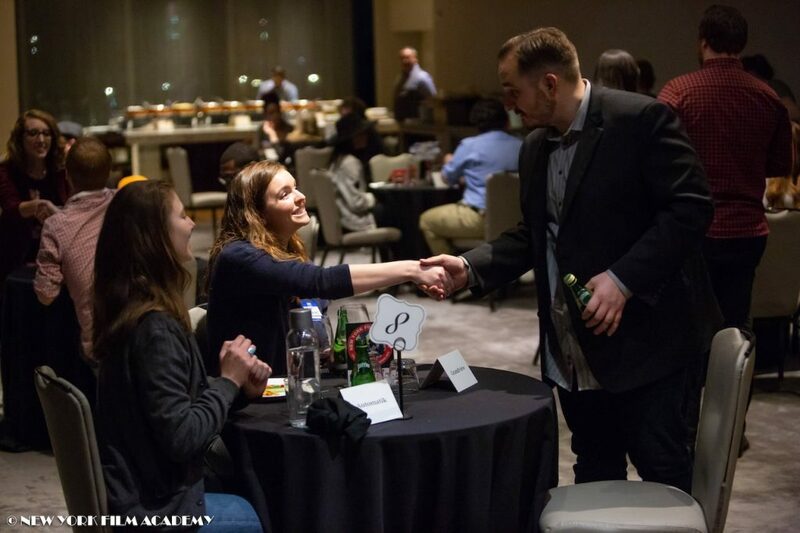 Conner then inquired about Sweeney’s writing process. 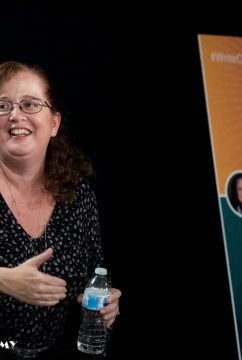 “Write it, rewrite it, rewrite it again, again, again, don’t look at it for a couple weeks — maybe a semester,” explained Sweeney. 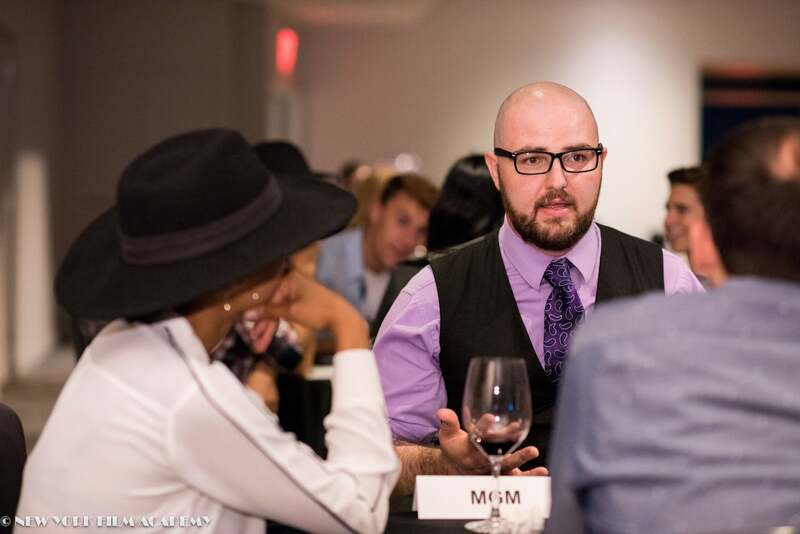 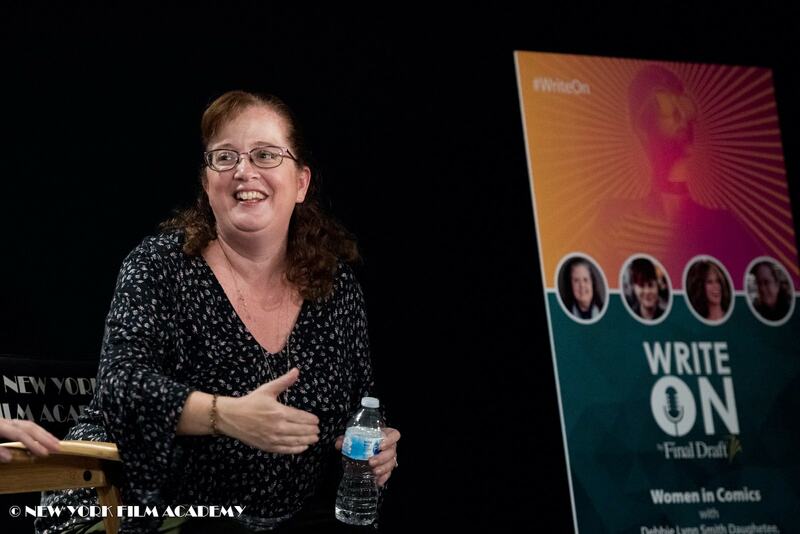 Sweeney shared some of the best ways to get gigs as a comedian: promote yourself as much as possible, be resourceful, be open to performing at unconventional venues like business expos and county fairs, and adapt your comedy content for different crowds. 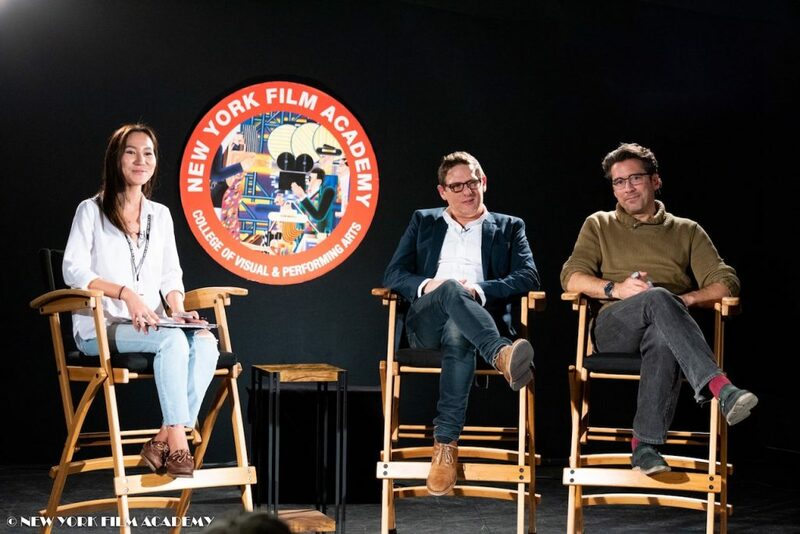 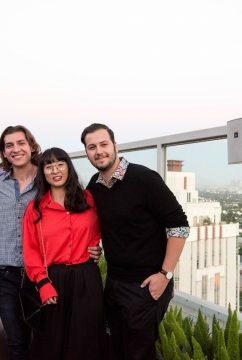 The New York Film Academy would like to thank Aubree Sweeney for her performance and for providing insider insight for aspiring comedians at NYFA. 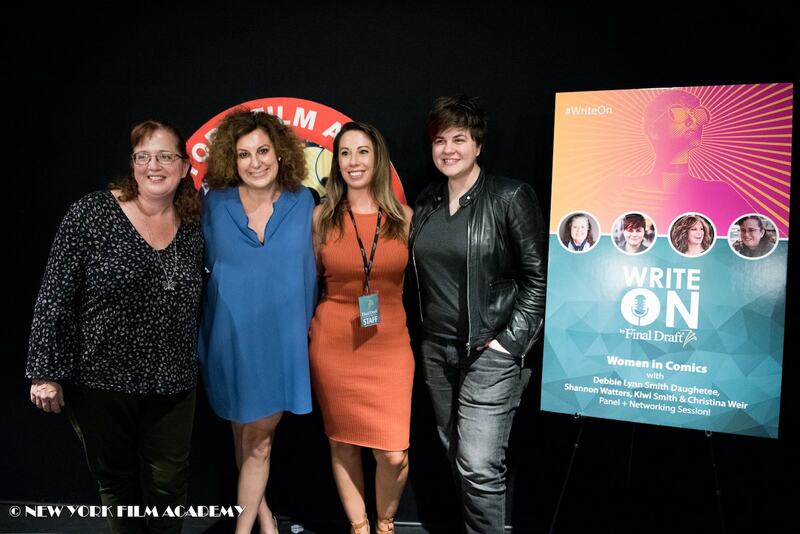 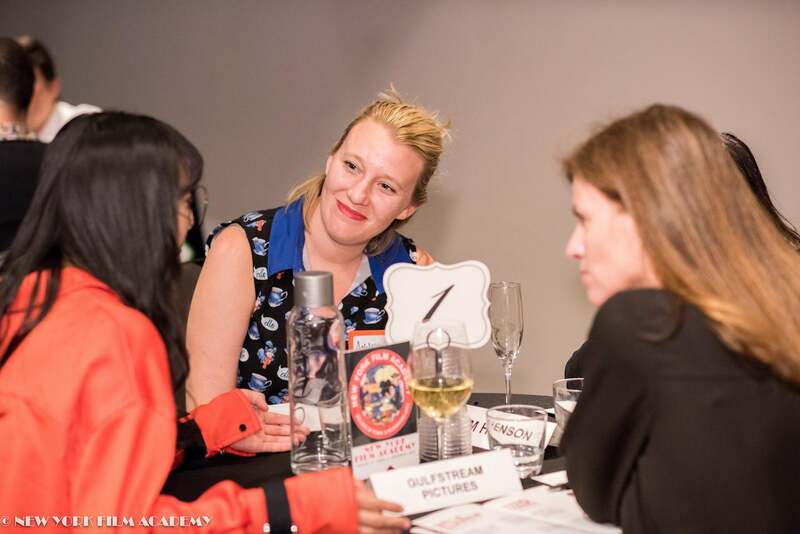 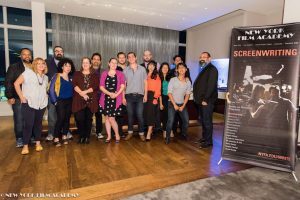 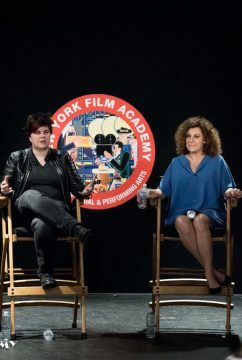 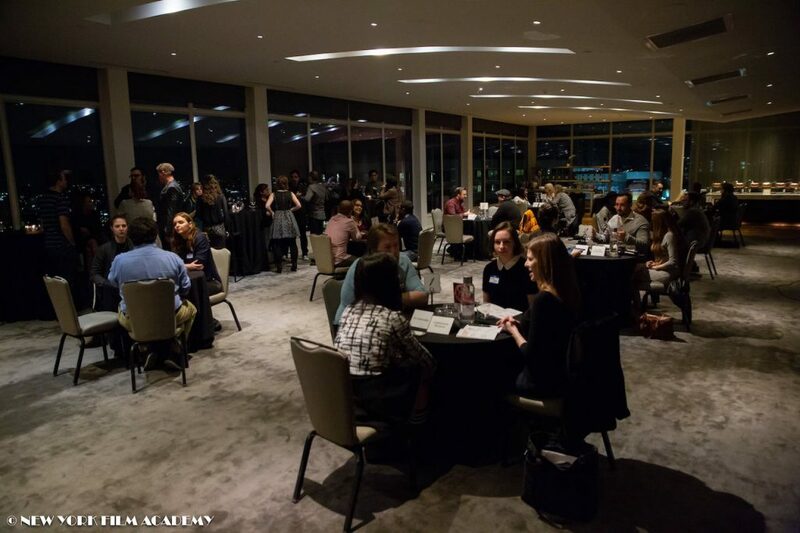 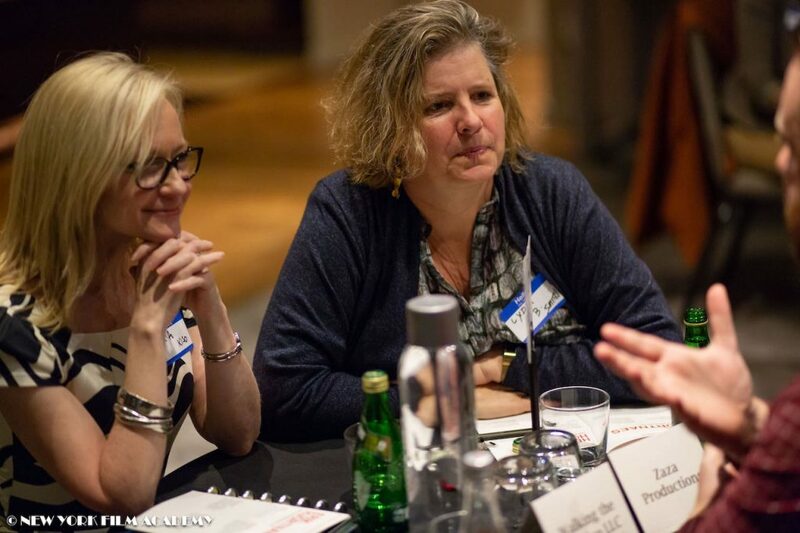 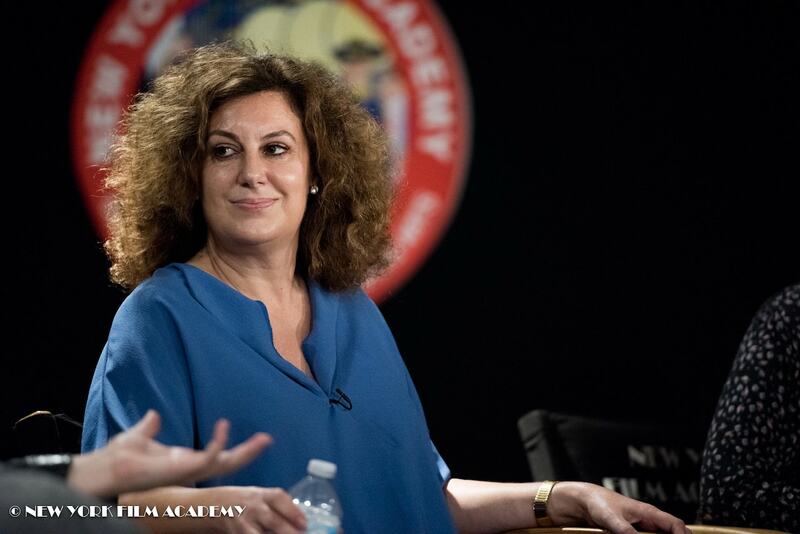 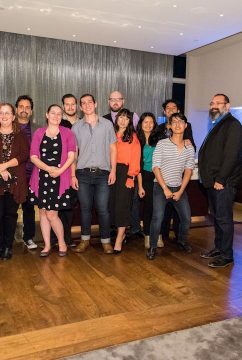 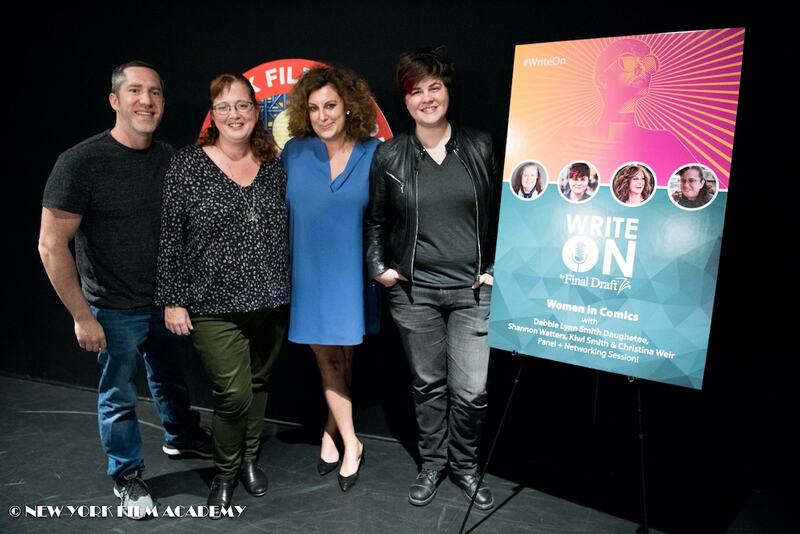 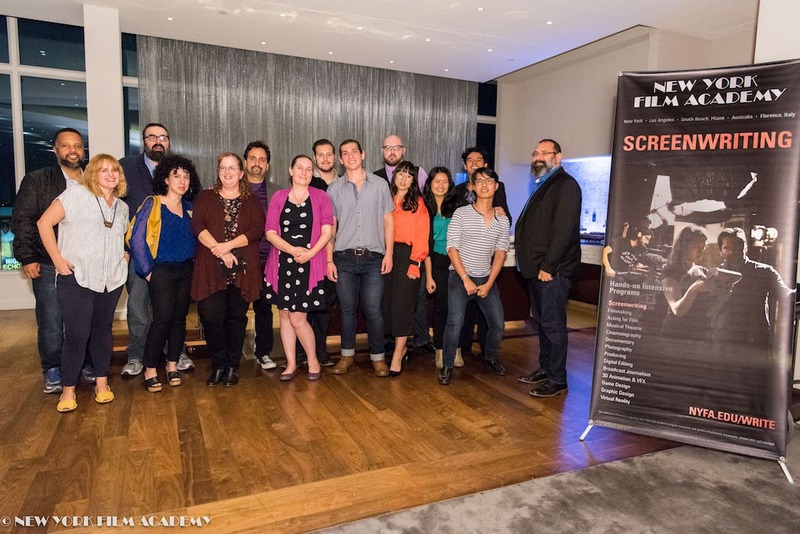 On August 20, 2018, the New York Film Academy (NYFA) partnered with Final Draft to host a live taping of Final Draft’s podcast, Write On, focused on women in comics. 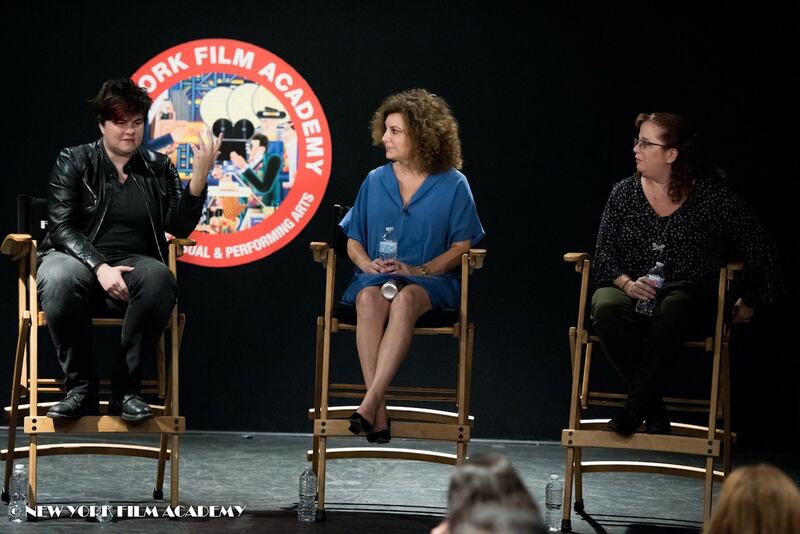 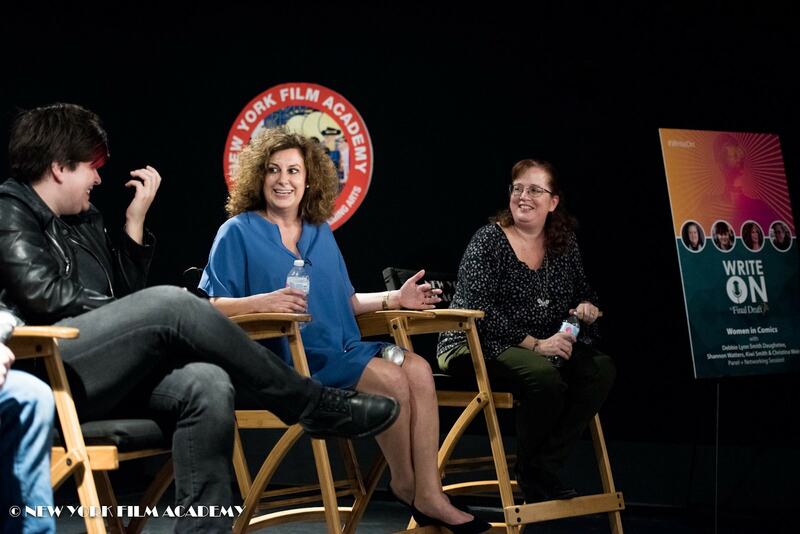 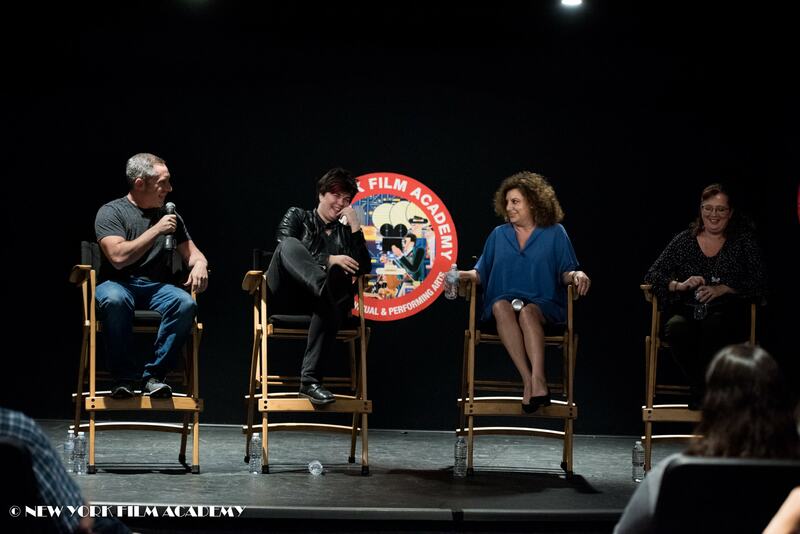 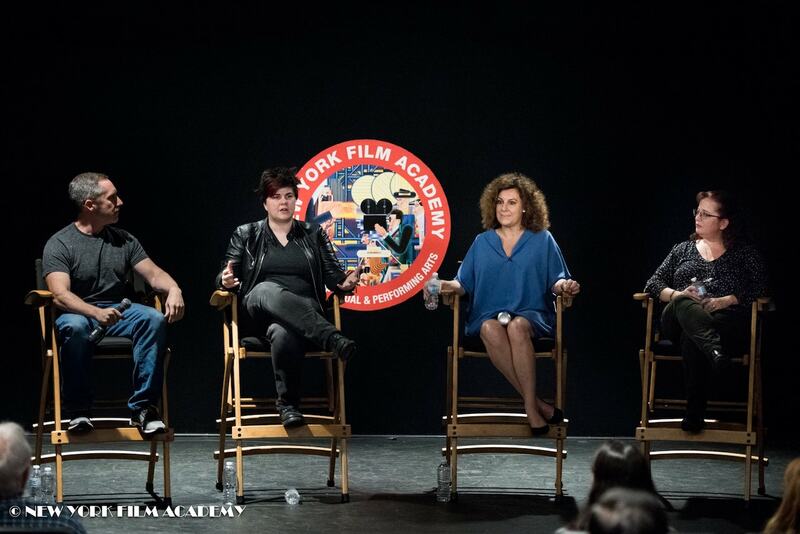 The panelists were Shannon Watters, Kirsten “Kiwi” Smith, and NYFA screenwriting school instructor Christina Weir. 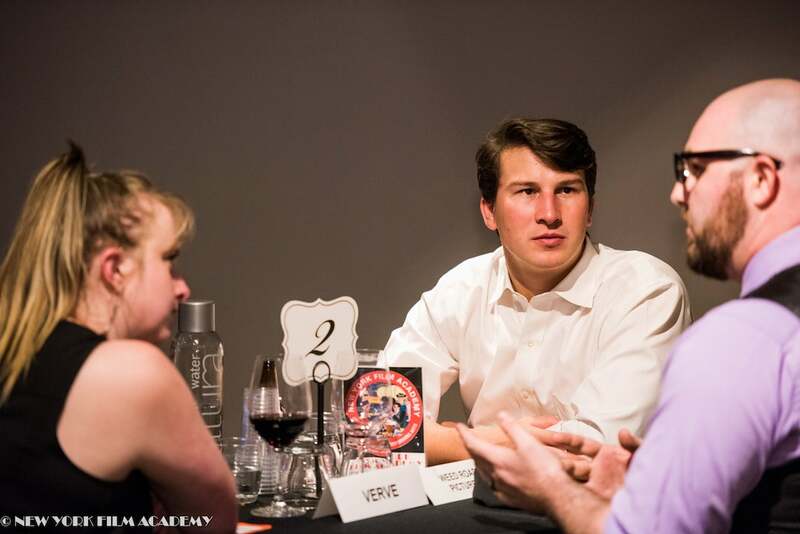 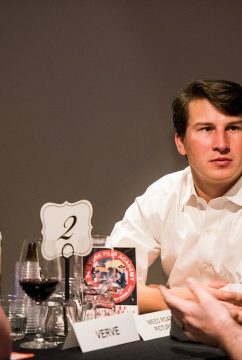 The event was moderated by Pete D’Alessandro. 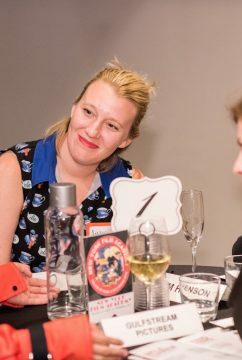 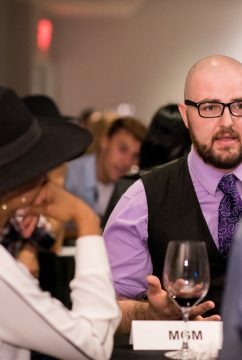 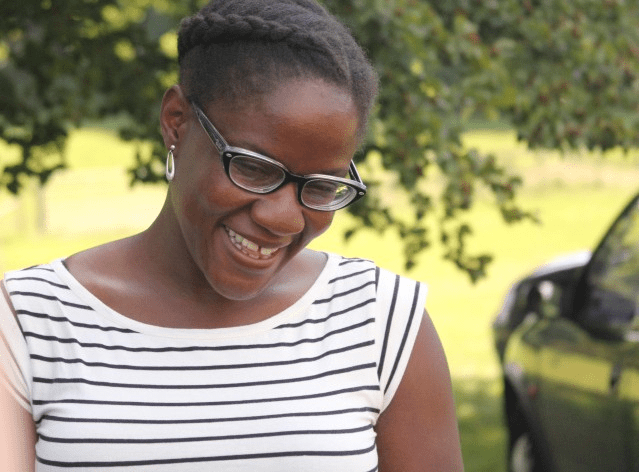 Shannon Watters is the senior editor at BOOM! 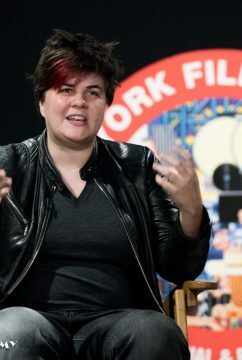 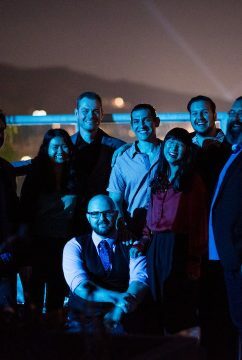 Studios and co-creator and co-writer of the award-winning comic book series, Lumberjanes. 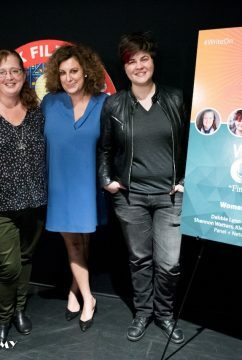 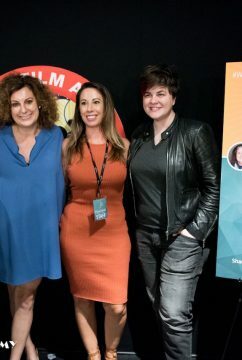 Kirsten Smith is a writer and producer (Legally Blonde, 10 Things I Hate About You, She’s the Man, Ella Enchanted, The House Bunny and The Ugly Truth) and Christina Weir is a writer (New X-Men, Skinwalker, Three Strikes, Maria’s Wedding, Bad Medicine, Play Ball, Dragon Age: Deception). 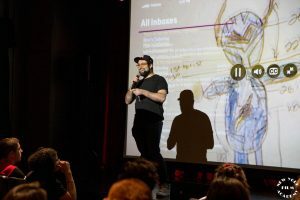 The panelists were first asked what makes comics unique as an artistic medium. 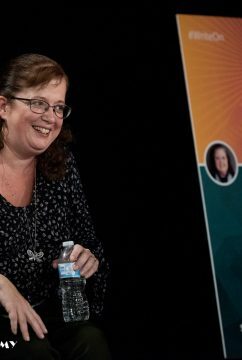 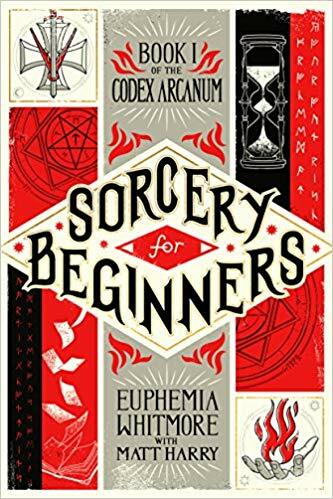 Smith said that, in her opinion, comics are special and intimate because they are “a work of art.” Weir added that, in the comic medium, it is essential to keep things moving; even if the scene is just a conversation, it’s important to keep it visually interesting to the reader. 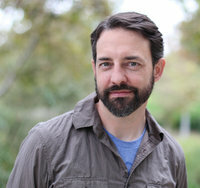 Watters shared that she likes using “the page turn” as a tool to surprise and entertain readers of comics in book form. 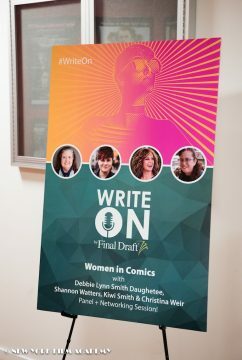 Lastly, Watters’ advice for aspiring comic writers and artists is to “Get your stuff out there!” She encouraged students to share their work on the web and to meet other creative people to network, collaborate, and grow. 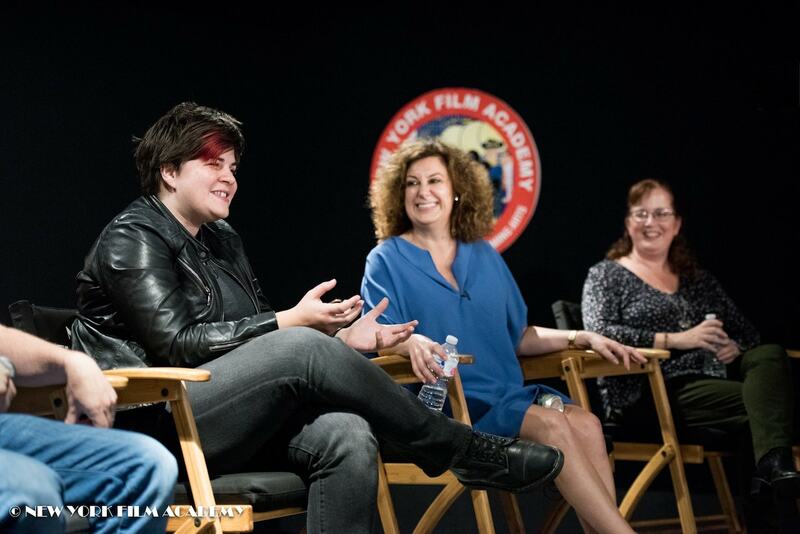 The New York Film Academy would like to thank Shannon Watters, Kirsten Smith, and Christina Weir for sharing their experiences and advice for young writers.